Dogs are supposed to be man’s best friend. Unfortunately, some dogs aren’t quite on the same page, and can lash out against humans. 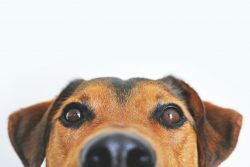 So what can we do to avoid dog bites, and what do we do if one does occur? Dr Innis Cloete joined Mel and Jeziel on Drive today to discuss this often sensitive matter. He touched on how to tell if a bite is coming, what to do if you are bitten, and the myth that some dogs are more likely to bite than others.